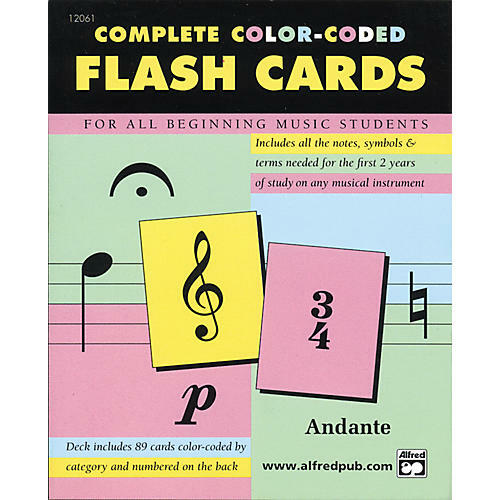 Beginning Music Flash Cards include all notes, symbols, and terms needed for the first two years of study on any musical instrument. Cards are color-coded by category and are numbered on the back. Printed on sturdy 5.25 " x 4" cards.